Browse through our Recommended Post-Game Leveling guide to learn ways on how to grind the Elite Four more efficiently. After finishing the game for the first time, the level of the Elite Four members’ Pokemon would have increased by 10. Despite this change, trainers are fortunate because the Elite Four members opted not to include new Pokemon in their party. One way to go around it is to raise the party’s level to be on par with the Elite Four’s. If you are struggling to defeat them, refer to the recommended Pokemon list below. By conquering the Elite Four and claiming the title as the Alola League Champion, this entails facing challengers that would attempt to overthrow you from your throne. The challenger is randomized each time you finish the Elite Four, thus it is recommended to assemble a well-rounded party that consists of multiple types that cover each other’s weaknesses. Click here to see a detailed guide on the Pokemon League. To earn EXP efficiently, head to the menu screen and set “Battle Animations” to “Off.” Apart from shortening time spent through the options menu, you can also skip Z-move animations. Click here to know how to skip Z-move animations. Since earning EXP efficiently requires cutting down time spent, this means that players should lessen switching Pokemon and using items as much as possible. The recommended step is to overlevel a few Pokemon that is capable of using a powerful Z-move, and has access to various coverage moves to check most if not all of the Pokemon types. Ultra Sun and Ultra Moon provide players with additional Pokemon that possess fantastic abilities. One of them is the ability “Mold Breaker” which cuts through the opposing Pokemon’s “Sturdy” ability. Whenever an opponent sends out a Pokemon with the “Sturdy” ability, they can avoid being knocked out by one super-effective move. Thanks to “Mold Breaker,” the time spent dealing with an Elite Four’s Pokemon is significantly reduced. Apart from ability, players should also consider stat-boosting moves like “Dragon Dance,” “Swords Dance,” or “Quiver Dance” to give them sweeping potential. Trainers should pair these moves with coverage moves in order to deal super-effective damage to the Elite Four members’ Pokemon. The trick is to send a high-level Pokemon that resists or takes neutral damage from the Elite Four member’s Pokemon, then proceed to stack multiple stat-boosting moves. The buffed-up Pokemon can then proceed to snowball the opposition. For players who acquire a level 100 Pokemon, they can opt to swap the stat-boosting move for another coverage move instead. Gyarados has been a staple Pokemon across Pokemon games ever since abilities were introduced. 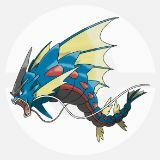 If players arm their Gyarados with a keystone and the Gyaradosite, they can transform its ability to “Mold Breaker,” which dispels an enemy’s “Sturdy” effect. To find an Axew players should use the Island Scan during saturdays in Ula’ula Island. The scanned Pokemon spawns on Mount Hokulani. 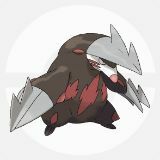 Despite being on this list, Drilbur and its evolution Excadrill do not appear in Ultra Sun and Ultra Moon. 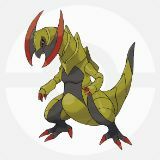 Players who desire to add this Pokemon to their team will need to bank it from Sun and Moon then transferring them to Ultra Sun and Moon. However should you wish you recruit it to your party, its steel and ground-typing coupled with its Hidden Ability “Mold Breaker” enables it to plow through majority of the Elite Four members. 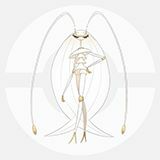 Pheromosa joins the ranks of the above mentioned Pokemon despite not having the ability “Mold Breaker.” An Ultra Beast exclusive to Moon and Ultra Moon players, Pheromosa is well-known for boasting high attack, special attack and speed. It also learns a variety of coverage moves not just on the physical side but also the special side. Since it has “Beast Boost,” it can forego learning a stat-boosting move in place of another coverage move.